Collect lots of Blu-ray movies and have no time to watch them cozily at home? Now want to watch those Blu-ray movies on your AVI-supported mobile devices like Xbox 360 or PSP while on the go? Have no effective solution to get satisfied AVI files off original Blu-ray movies? Don’t worry. You could get deeper understanding about Blu-ray to AVI converting after reading this post. In this post, you will learn practical knowledge about AVI, Blu-ray and Blu-ray to AVI converter apps, as well as detailed solution to rip Blu-ray to AVI files on Mac and PC. AVI is a popular container file format used for watching standard definition video on the PC and is the container used by DivX video versions 3 through 6. 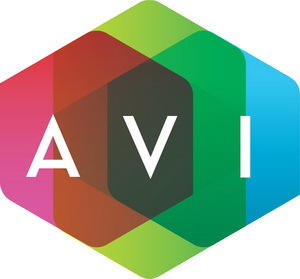 AVI files can hold different types of video and audio streams inside, and with the help of DivX® video compression technology, they can display incredible video quality while maintaining a small file size. .divx files are also based on the AVI container, but can contain additional features like XSUB subtitles and chapters. Both AVI and DIVX videos will play on all DivX Certified devices—from tablets to TVs. How to play AVI files on PC? Windows Media Player should play .AVI files by default, but a variety of factors from installing other media players to Windows updates can cause them not to play. 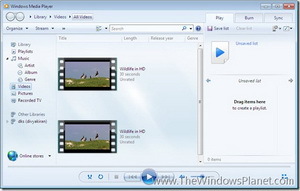 There are two fairly common reasons why AVI videos stop playing in Windows Media Player (WMP). First is that AVI files are no longer associated with WMP. To fix this, the simplest way is to right click an AVI file and then click “Choose default program…” to choose Windows Media Player as default player to AVI files. Second is to update WMP to the latest version. How to play AVI files on Mac? Apparently, AVI is not accepted by Apple and Apple’s products. To play AVI files on Mac, you get 3 choices: get QuickTime Component (Perian), make use of 3rd-party Mac media player like Free Mac AVI Player or convert AVI to Mac compatible formats like MOV, MP4, M4V, etc. Converting AVI to MOV, MP4 or M4V is the best as you could then further play back AVI files on Apple’s iOS devices like iPad, iPhone, etc. Some devices like PSP, PS4, Zune, Xbox, etc. could recognize AVI files and play back AVI files directly. However, there’re still many other devices that couldn’t play AVI files like iPad, iPhone, iPod, Apple TV, Samsung phones, etc. To play AVI files on these devices, you’re recommended to convert AVI files with professional AVI video converter to MP4, MOV, 3GP and other formats beforehand. Why convert Blu-ray to AVI file? Blu-ray offers high-definition video and high-resolution audio, providing a superior viewing experience to DVD, although you need a modern home theater to take advantage of it. There’re various purposes that could be achieved by converting Blu-ray to AVI files. Get Blu-ray backup: Every Blu-ray disc costs high and is fragile to get broken or damaged. It could easily get scratched for improper using or even get lost. Converting Blu-ray to AVI file is actually a way to backup Blu-ray movies, through which you could get Blu-ray movie backup on your computer for anytime using, without worrying about disc damage or loss. Enjoy Blu-ray movies on more devices: Via ripping and converting Blu-ray to AVI file, you could enjoy Blu-ray movies on more AVI-compatible devices and media players, no specific Blu-ray media player required. Storage saving: A Blu-ray movie is generally large, but by converting to AVI file, it might only occupy comparatively small space. Release your hard drive storage so you could collect more movies. Use Blu-ray disc at will: Most Blu-ray discs are protected with various disc protections. While ripping Blu-ray to AVI would allow you to remove disc protection and turn the Blu-ray disc you’ve purchased truly your own. A Blu-ray disc drive: especially needed when you want to rip and convert Blu-ray disc to AVI file on Mac or PC. Most new computers have no Blu-ray disc drive pre-installed. You need to get one for reading Blu-ray discs before you could rip and convert Blu-ray discs. Software to decrypt and rip Blu-ray to AVI file: simply speaking, you need a Blu-ray to AVI converter that is able to handle Blu-ray to AVI conversion task fast and with ease. Taking the disc protection into account, this Blu-ray to AVI converter is better with disc decrypting ability to remove disc protection of various types. The best all-in-one source for Blu-ray ripping into various formats. Rips and converts Blu-ray/DVD movies (in disc and folder) to 180+ HD/SD video and audio formats for playback on almost all existing media players and devices. Decrypt encrypted Blu-ray and DVD discs via advanced disc decrypting ability. Edit Blu-ray movies, create 3D movies retain subtitles and audio tracks at will, etc. RipBot264 is a an easy to use All-In-One Converter. Convert from DVD, Blu-ray or any video to iPod, iPad, PSP, PS3, XBOX360, PC, MAC, MP4, MKV, Blu-ray or AVCHD without exotic filters and unnecessary settings. Requires Java 32bit, AVisynth, ffdshow, haali media splitter and .Net Framework. BitRipper is a straightforward program capable of bypassing a few encryption methods on your DVDs (it doesn’t support Blu-rays). Simply select your DVD drive and an output folder and specify your output settings and that is honestly it. This is possibly the easiest program out of the lot to begin using. 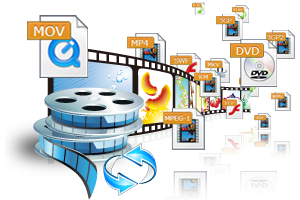 Format Factory is multi-featured and allows you to convert DVDs (but not Blu-rays) either to a video format of your choice or to and ISO file. Simply hit DVD to Video File or DVD/CD to ISO/CSO and you are already well on your way. After you have inserted a DVD of your choice, select as your source and choose the option which suits you best. Gaining great reputation from users and diverse web editors, Leawo Blu-ray to AVI Converter has been considered as the best Blu-ray converting software. As a piece of proved excellent Blu-ray ripping software, the program allows you to complete the Blu-ray to AVI conversion with fast converting speed and high output quality. With advanced graphics cards acceleration support including NVIDIA CUDA, AMD APP and Intel Quick Sync, the program boosts the conversion speed up to 6X faster. If you’re looking for a Blu-ray to AVI converter that could solve all Blu-ray decrypting, ripping and converting issues, this would be the right place you should stab at. Below comes the step-by-step guide on how to rip Blu-ray to AVI. Install and run Blu-ray to AVI Converter on your computer firstly. Then click “Add Blu-ray/DVD” button to load Blu-ray movies from your computer hard drive or Blu-ray disc. If you plan to load files from Blu-ray disc, make sure you have inserted the disc into computer BD-ROM. Added movies could be previewed on program right viewing window. The Blu-ray to AVI Converter allows you to select desired subtitle and audio track for output. You can achieve the selection via opening the drop-down boxes of subtitle and audio track in each title. While loading source Blu-ray movies, 3 loading modes are selectable: Full Movie, Main Movie and Custom Mode. Choose one according to your needs. Here, move mouse to the “MP4 Video” drop-down box and select “Change” to choose AVI from “Format” as the output format. As you enter the “Profile” box, you must find many profile presets for various players and devices. If your purpose is watching the Blu-ray movies on a mobile device, you can choose the corresponding device as the output profile. Lastly, click big green button “Convert” to set output directory and get the Blu-ray to AVI Conversion started. The program will complete the whole conversion automatically.